Decorative Corbel, more durable and more affordable than plaster or wood! Corbels: Made of virtually indestructible high-density urethane our corbels are cast from steel molds guaranteeing the highest quality on the market. High-precision steel molds provide a higher quality pattern consistency, design clarity & overall strength & durability. Lightweight they are easily installed with no special skills. Unlike plaster or wood urethane is resistant to cracking, warping or peeling. Factory-primed corbels are ready for finishing. Measures 12 3/8 in. high x 7 3/4 in. wide. We feature decorative corbels which offer a decorative and elegant touch to the home. These are unique because they are highly durable and affordable than plaster or wood. 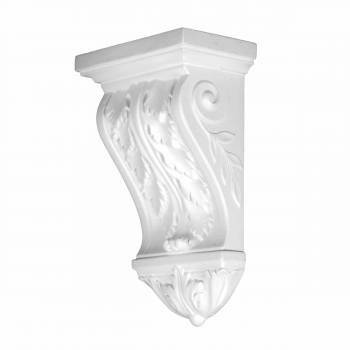 The lovely ornate corbel is made of urethane form and has a pleasing and elegant design engraved over it. These corbels are cast from steel molds which makes them last longer and effective. 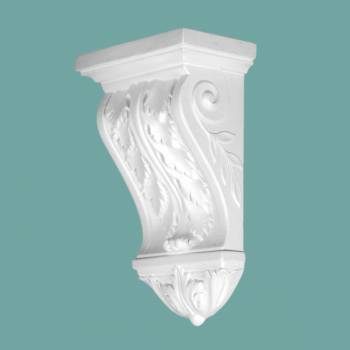 The decorative corbels are resistant to warping, cracking and peeling. Apart from this, they are also impervious to water and insect damage. 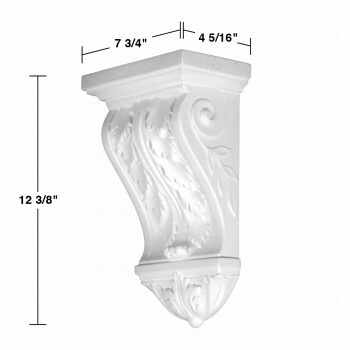 The corbel has a sharp design clarity and it holds reliable pattern consistency in all the pieces. They can be easily installed and put together. 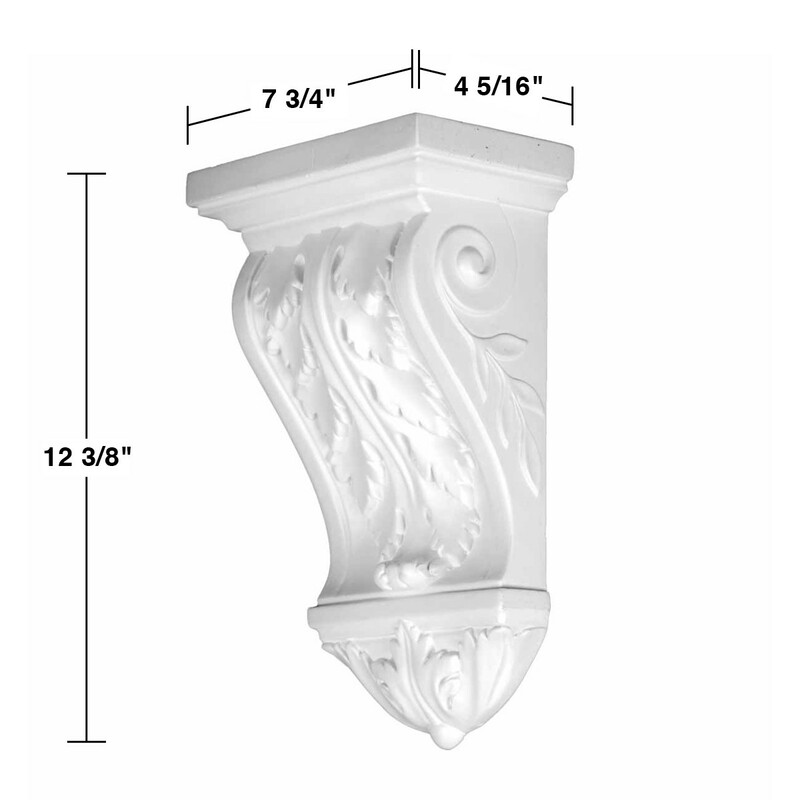 With these lightweight corbels, installation becomes an easy procedure. We believe in bringing the best quality products and services to your doorstep. Our top priority is building the best clientele and bringing them quality home decor supplies.